The Hummel Nature Trail in Hummelstown, Pennsylvania is a wide, gravel-covered trail that follows the Swatara Creek for a short distance. The footing seems easy enough for anyone and the distance to the trail is a short one from the parking lot next to a baseball diamond. The trail is very popular as a dog walk and nature trail. 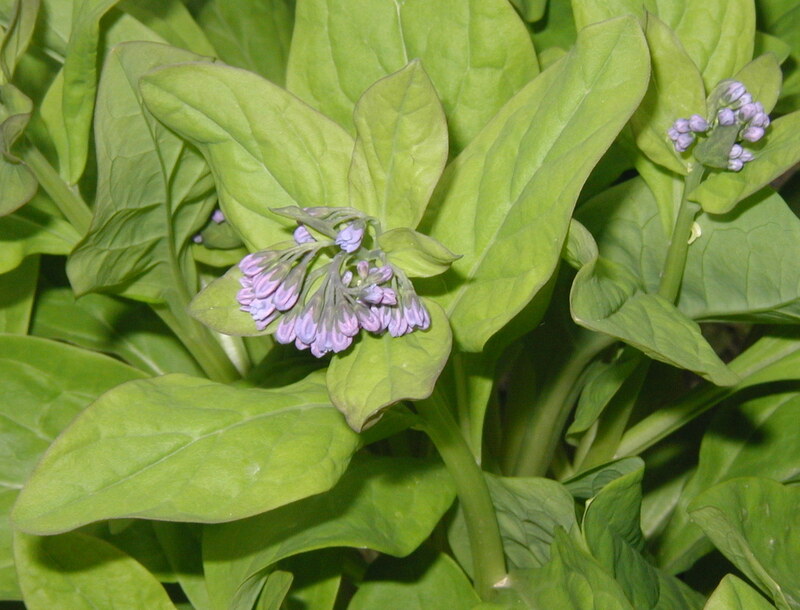 The low lands next to the creek are home of an awesome display of Virginia Bluebells, Mertensia virginica, in mid to late April. Photos taken 18 April 2011. Bluebells in a mudflat next to the creek. 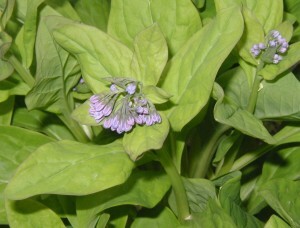 Bluebell flower buds will turn light pink as they open and then turn to blue. Bluebells showing flowers getting ready to open. 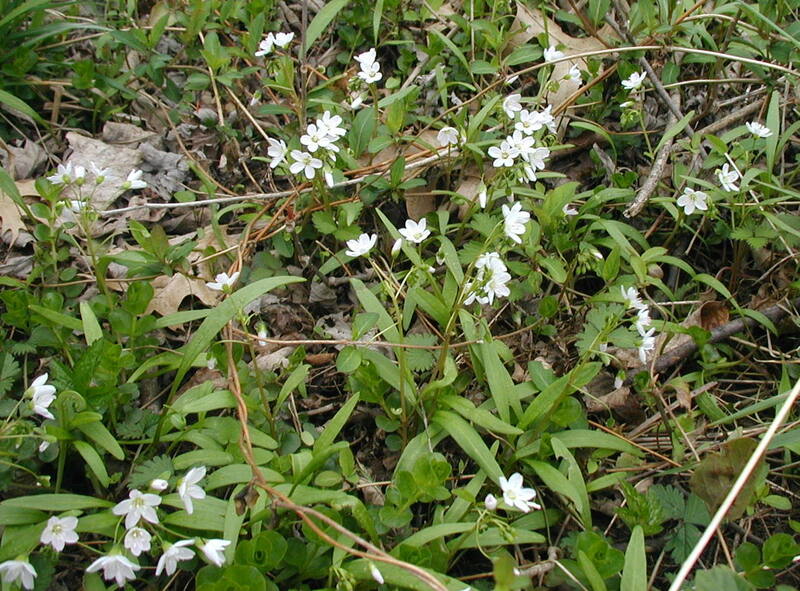 Spring beauties, Claytonia virginica, can be seen in many places along the trail. 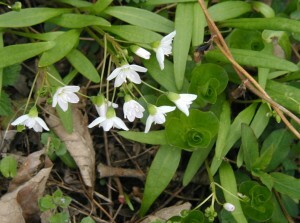 Spring-beauty has small, five-petaled white flowers that rise up only a few inches off the ground. 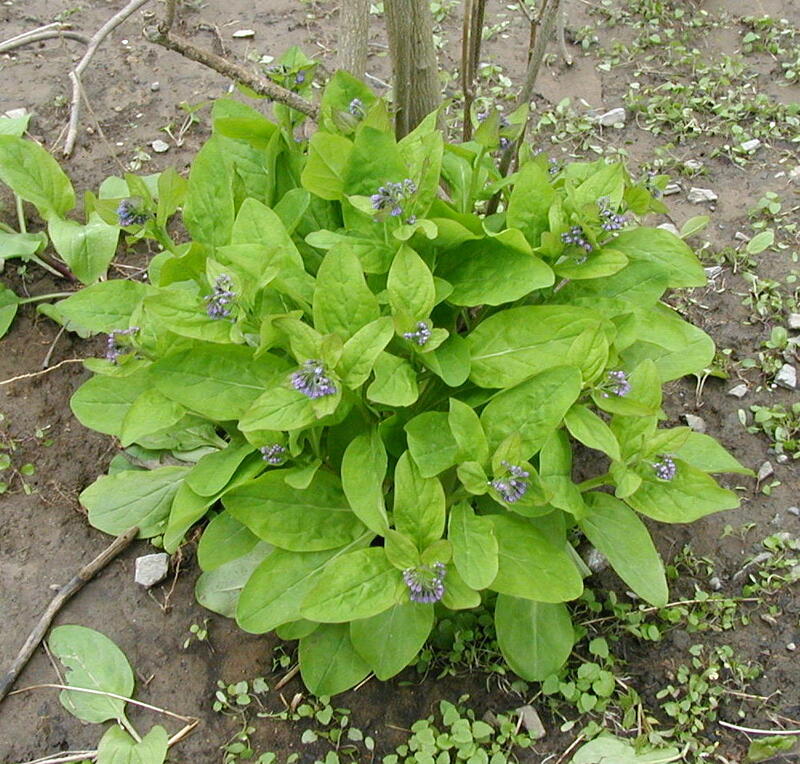 The plant is a trailing one with long, wide, grass-like leaves. Several flowers bloom in succession on one plant. Spring beauty flowers as it creeps along the forest floor. Spring beauty blooms are more delicate in appearance than their thick, linear leaves. Take a walk along a creek near you or find a trail in a nearby park. 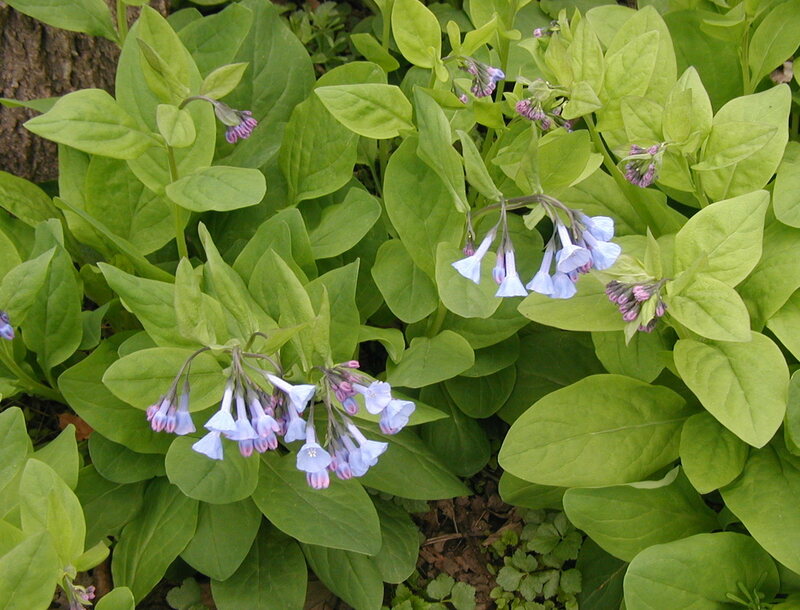 Leave us a comment if you find Virginia Bluebells or Spring Beauty.